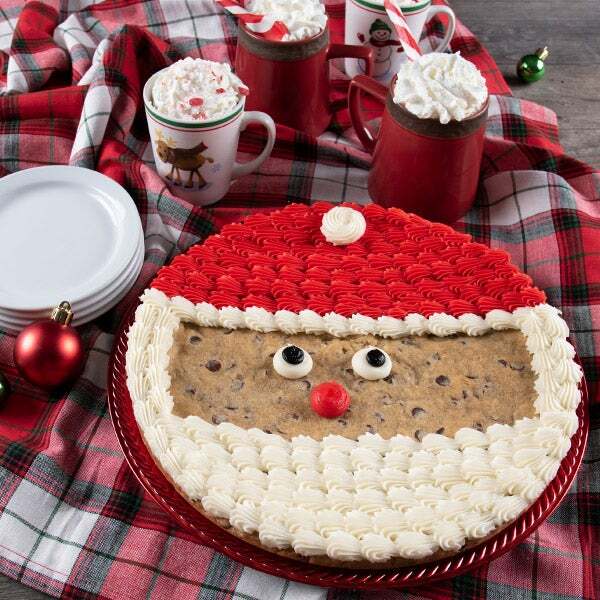 Santa Cookie Cake is rated 4.9 out of 5 by 12. Rated 5 out of 5 by Cogma from Delicious My granddaughters just loved this cookie. They live far away from me and this is a great gift for any occasion and easy to give, just order and it is all taken care of, no stress of shipping or worrying. Rated 5 out of 5 by BigD from the kids love it Ordered this for the grandkids! They loved it. delivery was on time for christmas! Great! Rated 5 out of 5 by Xxxxxxxxx from Huge Hit with the kids I sent chocolate covered jalapeño gifts to the families during Christmas and realized how the “kids” may not be able to eat those. The Santa Cookie was a perfect add on and a huge hit! Rated 5 out of 5 by kd27 from my friends loved it! wanted to get something for my friend's family to enjoy and everyone loved it - from kids to adults!